I am very happy to introduce Eunice. We have known each other for quite some time now. 15 years ago we met in Kayamandi. I was there on a study trip, she worked at the high school. Two months later she was invited to visit Holland. And up till this day she will show the pictures of her two visits, and tell you the stories of her adventures in the Efteling, at Fontys and of just being part of the Dutch society for a while. What strikes me time and time again is the joy I see in her eyes when she talks about Holland. And her gratefulness for this experience. 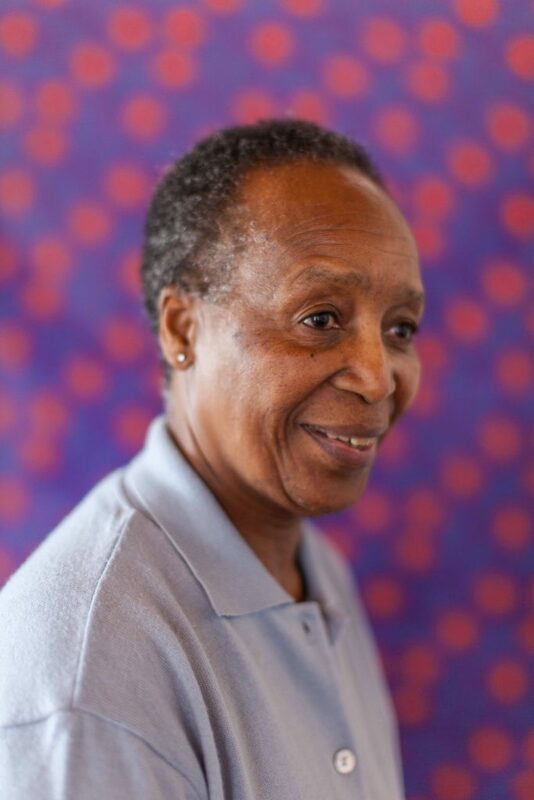 Eunice is also the woman that is part of the She Blooms ‘foundation’, because without her I would have never been able to do my research on teens and sexuality. That is why I want to chat with her about womanhood and the joy of being a woman. And to be honest, our chat left me with a feeling that I find hard to describe. When Eunice was telling her extraordinary story, the only thing I saw was a super strong woman who had the guts to, after 39 years, walk out of an abusive marriage. In a culture and community that were not supporting her choice since walking out of a marriage was a taboo. When I ask her how she found the guts she says that she decided one day to claim her life back. She realized that she is not her husband’s creation, she is God’s creation. And God does not want people to live a lie. It is a big eye opener for me, and shows me again that I can not think and/or feel for another person. And that everybody has a different frame of reference and experiences are completely different. I also asked her what the joy of being a woman is for her. She can’t think of any joy in being a woman: “We, black woman in South Africa, are oppressed by the state, by the culture and by our husbands”. And we are taught to be submissive”. Somewhere deep down I want to react on her words. But I don’t. This is her truth, based on her story, based on her background and based on how she sees the world. ‘If you know (self)love, you will never allow oppression”.